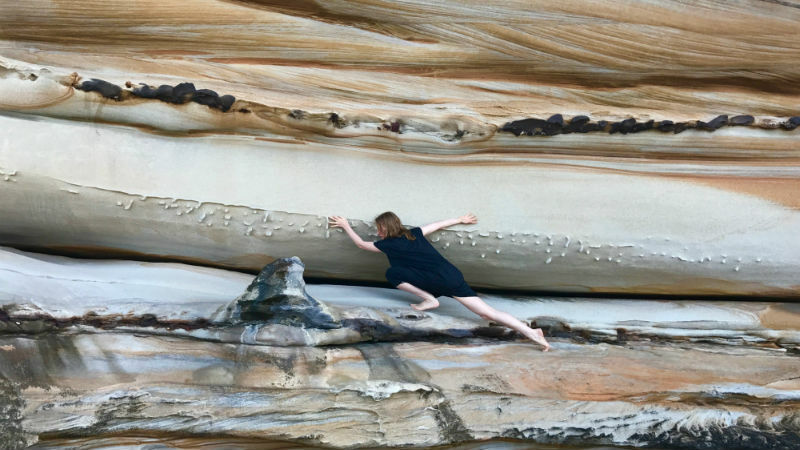 The award-winning choreographer, educator, filmmaker and installation artist talks to Susanna Ling about her upcoming exhibition at the Victorian College of the Arts. Hi Sue, these days you’re an Honorary Fellow at the Victorian College of the Arts … When did your relationship with the VCA begin? I came to the VCA in 1981 from New Zealand, and it was such an extraordinary beginning for me. It was a total immersion in dance, which I thrived on. Many doors were opened that I’m still, even now, going through. My teachers at the time were astounding – world leaders in contemporary dance, ballet and movement studies – and it’s some of those teachers that I’m celebrating in my upcoming exhibition at the Margaret Lawrence gallery, On View: Thinking Bodies, Dancing Minds. What will that show involve? 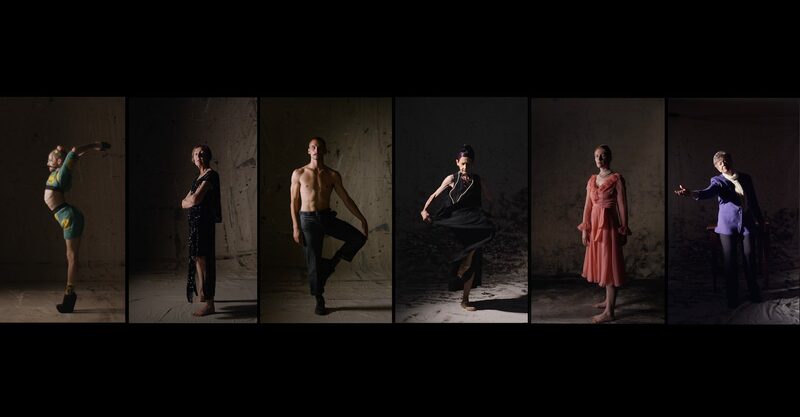 It’s an exhibition of filmed dance portraits. I’m so fascinated by the idea of portraiture – the concept of what a portrait is and why we, as humans, need to make them. It’s about identity, and it’s about the dialogue between the observer and the observed, the watcher and the person being watched. I began making portraits of dance artists five years ago. 103-year-old Eileen Kramer, from On View: Icons by Sue Healey. I’ve always had an interest in looking at a diversity of ages of people who dance, so I wanted to make a series of portraits focusing on our iconic dance idols. On View: Thinking Bodies, Dancing Minds is about celebrating the incredible wealth of danced knowledge that these artists have and to ensure that they’re not forgotten. We have really short memories as humans, especially in dance, which is often thought of as a young person’s activity, and I think I’m on a life’s mission to disprove that. As people age they keep dancing, keep moving, keep creating and thinking through the body. 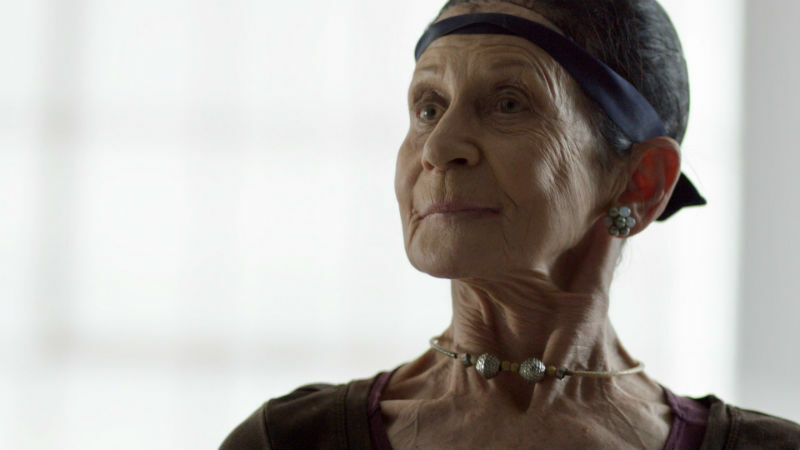 My oldest Icon is Eileen Kramer, who danced in the first modern dance company in Australia, the Bodenwieser Ballet. She’s 103 years old now and she still dances every day. The exhibition features six artists. 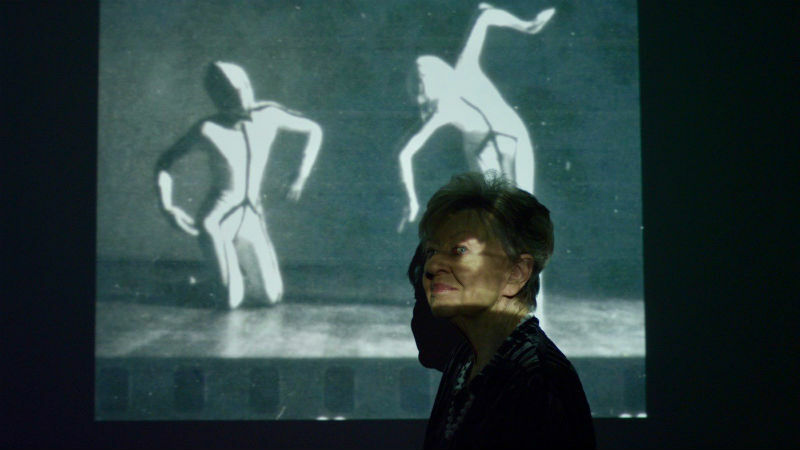 Three of those – Shirley McKechnie, Nanette Hassall, and Lucette Aldous – are from my On View: Icons series and were absolutely central to the incredible dance ethos at the VCA during my time there. The other artists are featured in a separate, new work in which I focus on three outstanding graduates of VCA Dance. 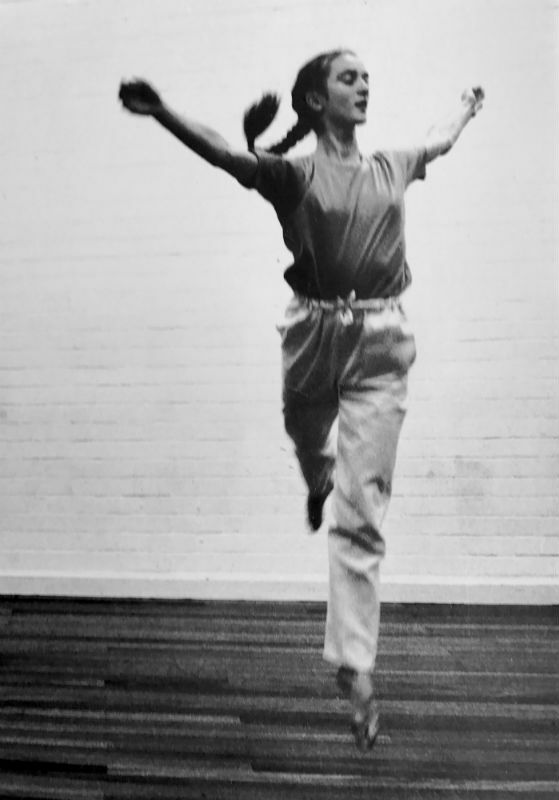 “Thinking Bodies, Dancing Minds” is a direct quote from the title of one of Australian contemporary dance pioneer Shirley McKechnie’s seminal papers, so I wanted to honour her with that. Shirley’s research was very much about acknowledging the dance artist and the choreographer as challenging our notions of what intelligence is – how we think through our bodies as well as our brains. It’s such a beautiful title and all of the artists that I’m showing, I think, really typify it – they’re incredible thinkers, as well as incredible movers. Do you remember first meeting your three icons? Yes, I do. When I was a student at the VCA in the early 80s, Lucette was my ballet teacher, as was her husband, former Australian Ballet principal dancer Alan Alder. They were both great teachers, and my main classical influences. I was terrified of Lucette, of course, because she was already such a legend and even though I was never going to be a ballet dancer, she was such a generous teacher. She gave me as much information as she could to help me become the best artist possible. She’s an extraordinary woman and one of our most admired ballerinas of all time, and yet she’s an unsung hero. That’s why I’m making this work. Lucette Aldous in On View: Icons by Sue Healey. Nanette Hassall was my main teacher at VCA, and she has inspired and taught so many generations of dancers now. When I met her, she had just come back from the United States working with the Merce Cunningham Dance Company and had such a wealth of knowledge. I can still remember from day one her suggesting to me that I could be a dance-maker as well as a performer. I will never forget that – having someone open my perceptions on how I could be as an artist, right from the beginning. She also made it very clear that teaching would be a part of this – that to be a dance artist, you truly do have to become a teacher. As an art form, it’s about passing information on through the generations, body to body. So I’ve always taught, thanks to her. Nanette Hassall in On View: Icons by Sue Healey. Shirley McKechnie was also my teacher at the VCA and became my mentor for many years. When I came back to the VCA to do my Master of Choreography in 2000 she was my supervisor and really assisted me in beginning to write about my work. I was also part of the groundbreaking research that she was conducting with cognitive psychologist Professor Kate Stevens during the 2000s, which really pushed the boundaries of how we understand dance and cognition. Shirley McKechnie. Image by Sue Healey. And what about the three VCA Dance graduates? The youngest is James Batchelor (Bachelor of Fine Arts – Dance, 2012), an amazing young artist in his twenties. I’ve known him for many years and have watched his development from an extraordinary 12-year-old at Quantum Leap Youth dance in Canberra, to becoming one of Melbourne’s leading independent dance artists. He is the quintessential example of someone who thinks ‘through’ the body. James Batchelor, by Sue Healey. The next is Benjamin Hancock (Bachelor of Dance, 2008), in his thirties, who is also one of the outstanding independent artists here in Melbourne at the moment. He makes work which is unique in so many ways – and he’s also an incredible costume designer. Benjamin Hancock, by Sue Healey. The third is Shona Erskine (Bachelor of Dance, 1994), who is in her forties, and a long time collaborator of mine. Shona has been central to my work since 2000 and brings such psychological and physical rigour to each work. Shona Erskine from On View: Icons by Sue Healey. I feel like I have a beautiful range of artists in this collection, with three exceptional examples of what the VCA has helped achieve. How and when did you start working with film? It was fairly early in my career, before I’d even left the VCA. Nanette started a company called Dance Works and, in my third year, I became a founding member of that company. Through those early years with Nan we never worked with film but we worked a lot with visual artists and sound artists – very much in the post-modern aesthetic, which was deeply embedded with the idea of collaboration. 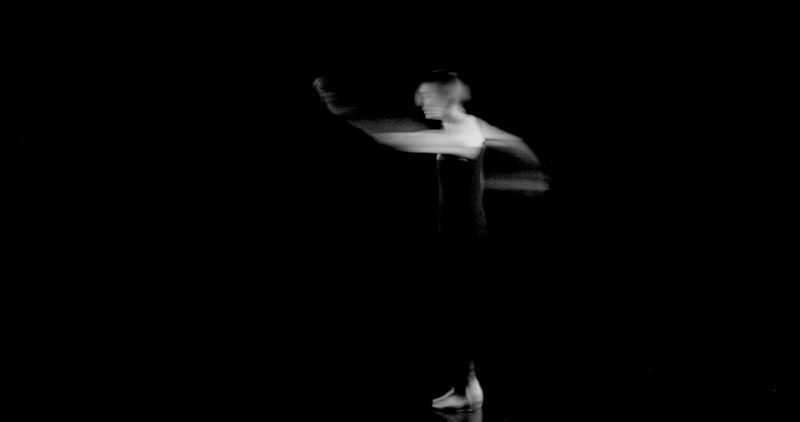 Sue Healey, Dance Works, 1983. Image supplied. Those early years at Dance Works really showed me the potential of collaborating with other artists. Soon after I left, I met a young filmmaker, Louise Curham, who was studying film at Swinburne, and we started making films together. She wasn’t a traditional filmmaker, coming more from a visual arts perspective, but she had an innate knowledge of movement, so it was a natural fit. She would make Super 8 or 16-mil films of my live works and I would watch her distil it down to short films. I was completely hooked by her ability to see my work in a different way, first through the camera and then through the edit. We worked together for many years – in a way this was an informal apprenticeship – but I found eventually that I needed to do it myself. I didn’t go to film school, but learnt instead by doing. Luckily this was possible because technology suddenly became cheaper at that time. The 80s were difficult as technology was expensive and clunky and we could never really get our hands on a decent camera – but when the 90s came around, things changed, and computers allowed me to become my own editor. You work now with cinematographer Judd Overton. How does that collaborative process work? 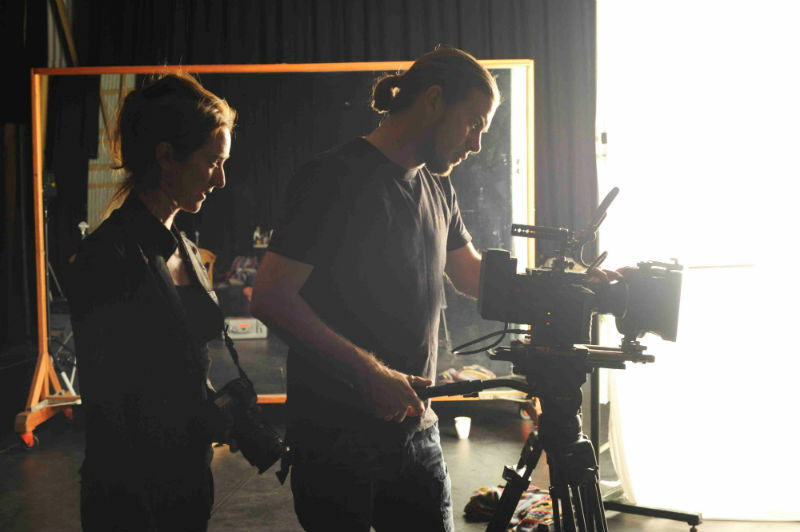 I rely on Judd’s expertise in cinematography, lighting and the technical aspects of the camera. That’s not my forte. So, I defer to him on that, but we have really deep conversations about what the camera is seeing and how the dancer is relating to the camera. The collaboration occurs as we’re shooting and is mostly done on location – we don’t sit down and plan, it really is an organic and dynamic process. It’s such a satisfying relationship. Judd is a problem-solver and we’ve been in really intense situations. When you’re out on location somewhere there can be so much unpredictability, and sometimes even danger. It’s never a straightforward scenario. Sue Healey and Judd Overton shooting On View. What are some of the more extreme locations you’ve shot at? We did an extraordinary shoot with [Australian choreographer and founder of Australian Dance Theatre] Elizabeth Cameron Dalman on Lake George in New South Wales, where Elizabeth lives. The lake is extremely shallow, and I wanted to film her dancing in the mud in the middle of the lake. So there we were, walking for kilometres on this really dangerous surface where you could fall at any minute, carrying equipment costing hundreds of thousands of dollars. Plus, we’ve got this amazing artist who’s in her eighties taking every step so carefully in the freezing cold and I’m just thinking, “This could be one of the craziest things I’ve ever done in my life”. 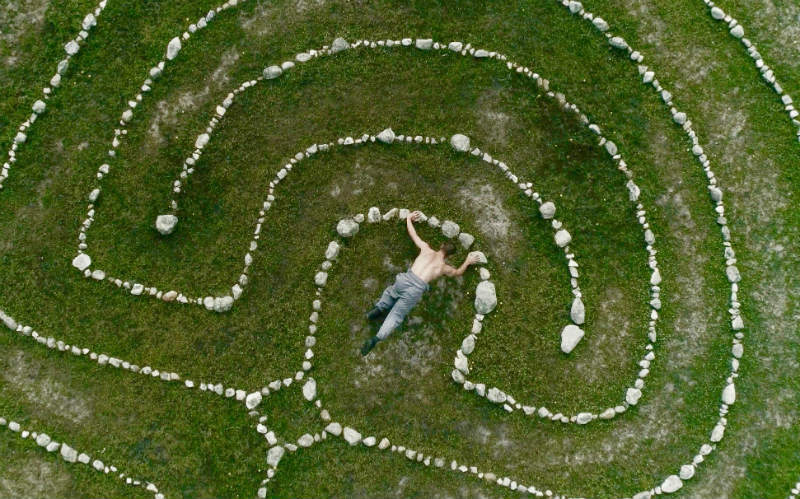 But somehow it always works out, and there’s incredible magic in what we shoot. We’ve been in countries where you’re not allowed to shoot, so we shoot guerrilla style, trying to dodge the authorities, trying to dodge the police, trying not to get run over by trains or traffic or people. But it’s such an adventure. I love it. Miranda Wheen, Annie Chung, and Elizabeth Cameron Dalman on Lake George, NSW. From On View: Icons by Sue Healey. Do you have any adventures planned for this year? I sure do. On View, which is my overarching portrait project, continues to grow so I have spent the last two years making portraits in Hong Kong. On View: Hong Kong is produced by the West Kowloon Cultural District, which is the biggest new cultural precinct in the world. This year I’ll be going to Japan, to begin the process of making the portraits there. It’s a two-year project – I’ll shoot the films, edit them, and make large-scale installations out of the films. After that I’ll make a live performance with the artists as well. And then, in 2020, we’ll bring On View: Japan, Hong Kong, and Australia together for the opening of one of the new theatres in West Kowloon, before touring in Asia and Australia. Basically, my life is kind of mapped out until 2020. I’m exhausted just thinking about it. Main image: From On View: Thinking Bodies, Dancing Minds. By Sue Healey. On View: Thinking Bodies, Dancing Minds is showing from 13–28 April 2018 at the Margaret Lawrence Gallery, Southbank, Melbourne. Visit the Dance 40 website to find out about this year’s performances, new works, and public talks, celebrating 40 years of dance at the VCA. Find out more about studying Dance at the VCA.